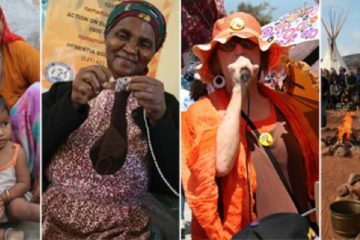 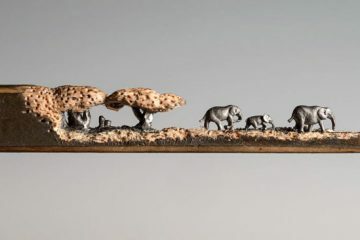 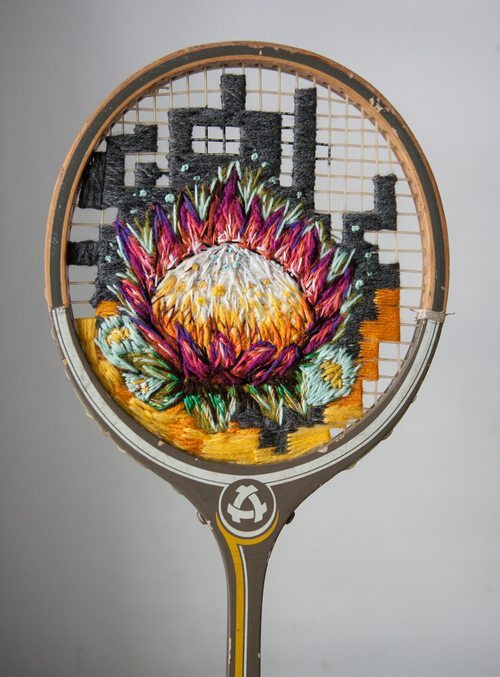 Born and raised in Cape Town, South Africa, multi-disciplinary artist Danielle Clough combines her interests in visual art, music and South African street culture to create spectacular embroidered artworks. 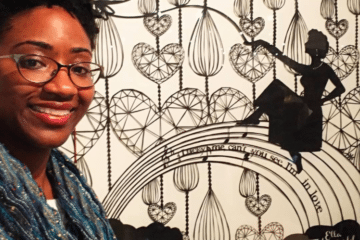 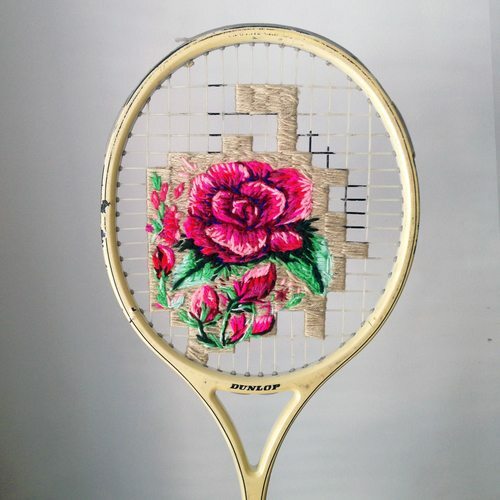 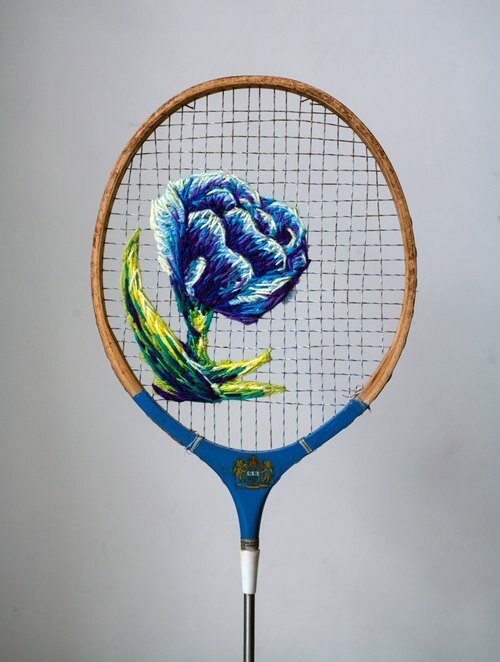 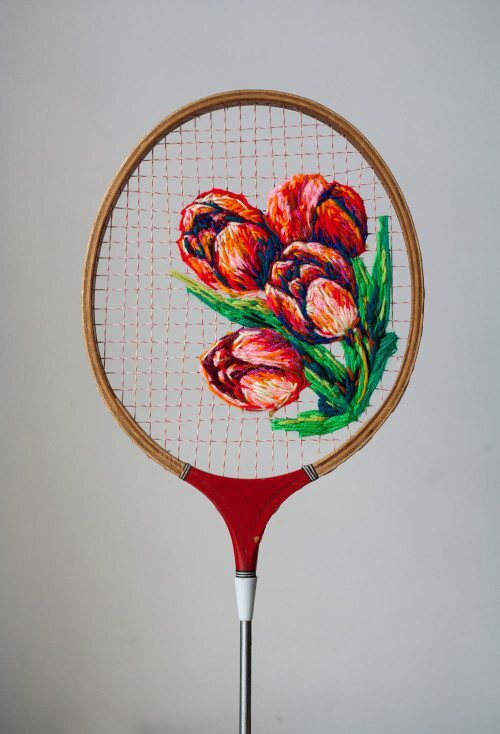 When she isn’t working on digital design projects for local companies, Danielle is stitching flowers, portraits, and other images including food, emojis, and animals on to canvases, pendants, and in her most recent series, What A Racket, old tennis and badminton racquets. 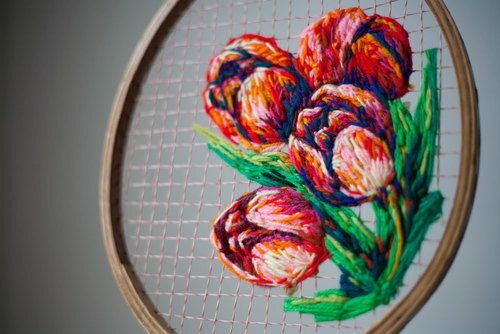 With colorful, heavy gauge wool thread, Danielle uses the grid of the racquet to stitch her gorgeous tulips, paper flowers, roses and protea, resulting in an interesting and delightful mashup. 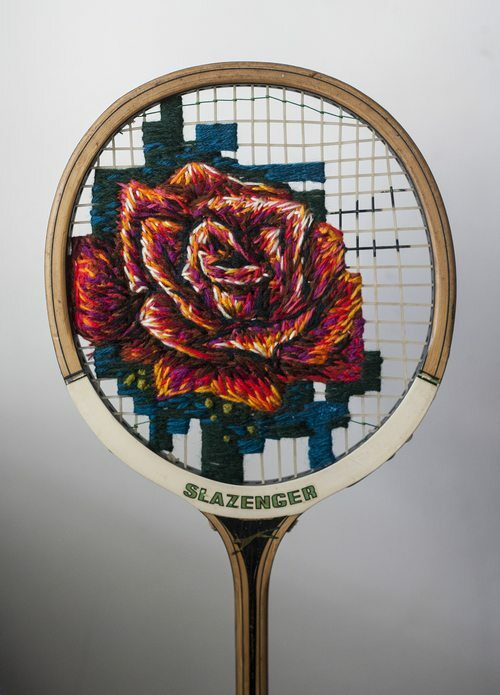 While these racquets have been sold, Danielle is hard at work making new ones. 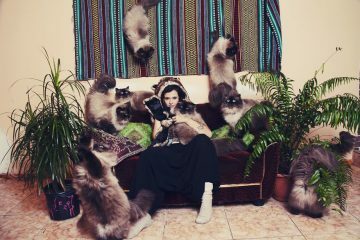 Follow her on Instagram for updates.